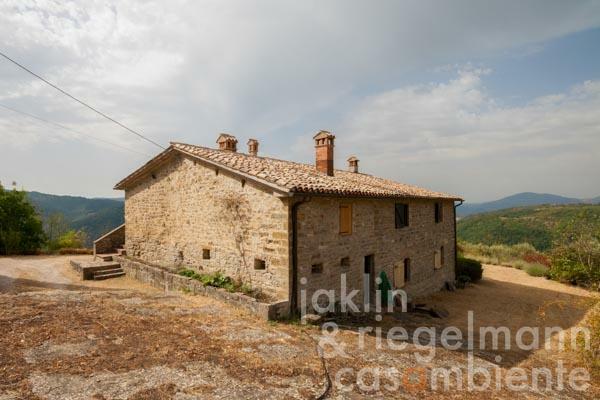 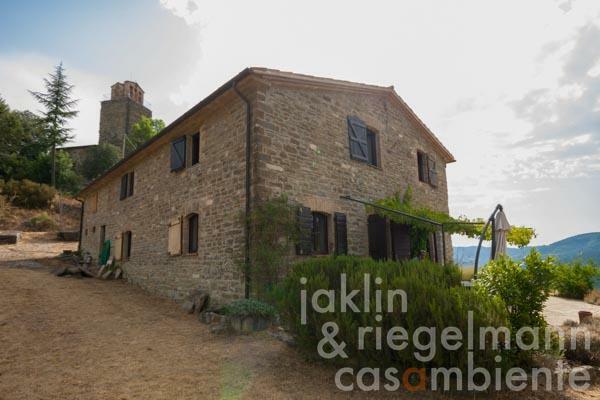 This stone-built house is situated in a fantastic panoramic position close to a historic castle and has preserved its original character. The property also includes a 58 m² ruin, which can be reconstructed. 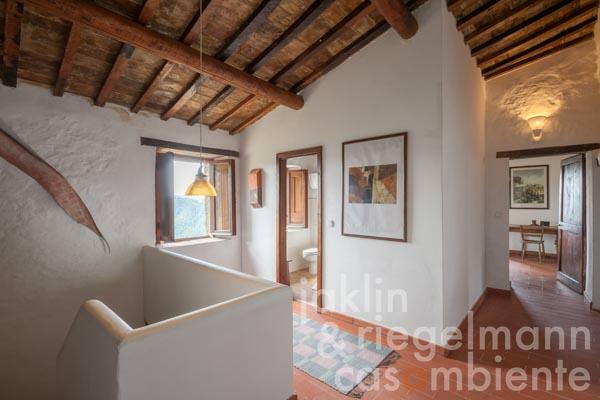 It is estimated that the house, which has about 270 m² of living and usable space, was built about 100 years ago. 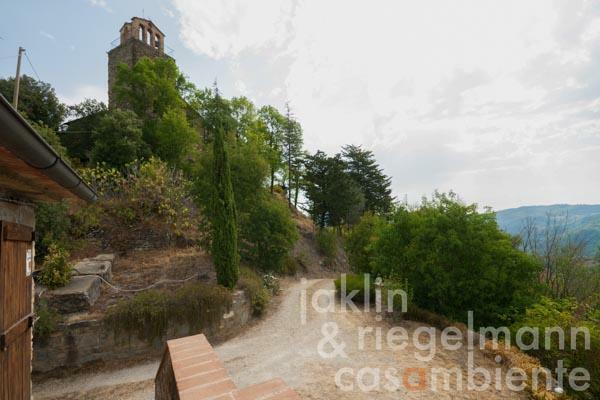 It is nestled in a fantastic natural environment and is located in the immediate vicinity of the impressive historical ruins of the castle. 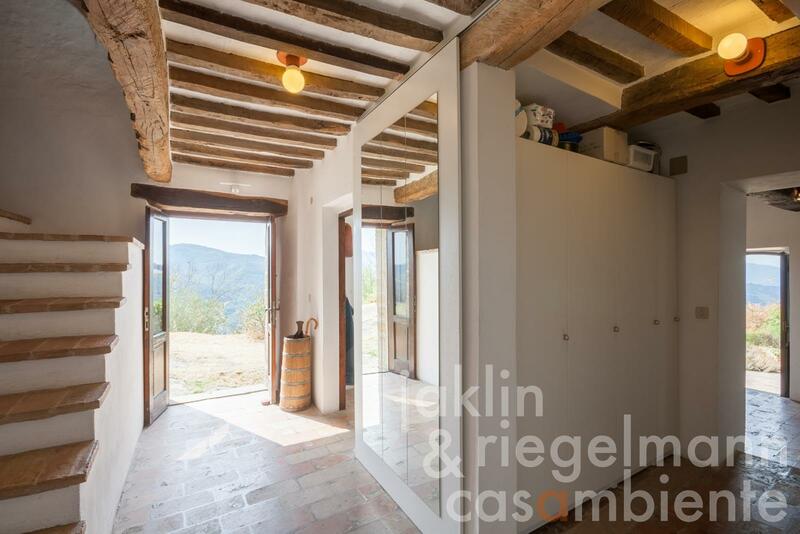 During the house's restoration work, all the old characteristics of an Umbrian farmhouse have been preserved, such as ceilings with wooden beams, terracotta floors and brick fireplaces. 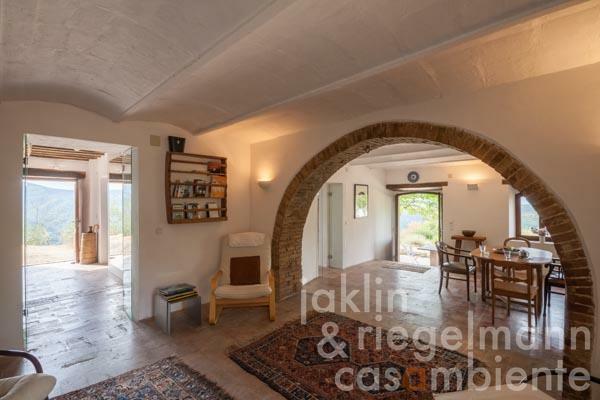 Around the house there are about 5.700 m² of own land with olive trees, partly terraced and offering enough space for the construction of a swimming pool. 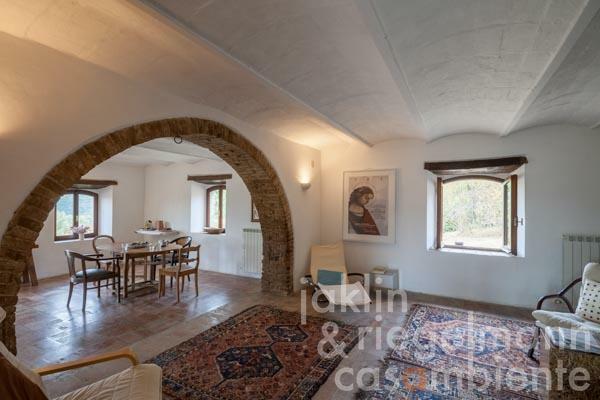 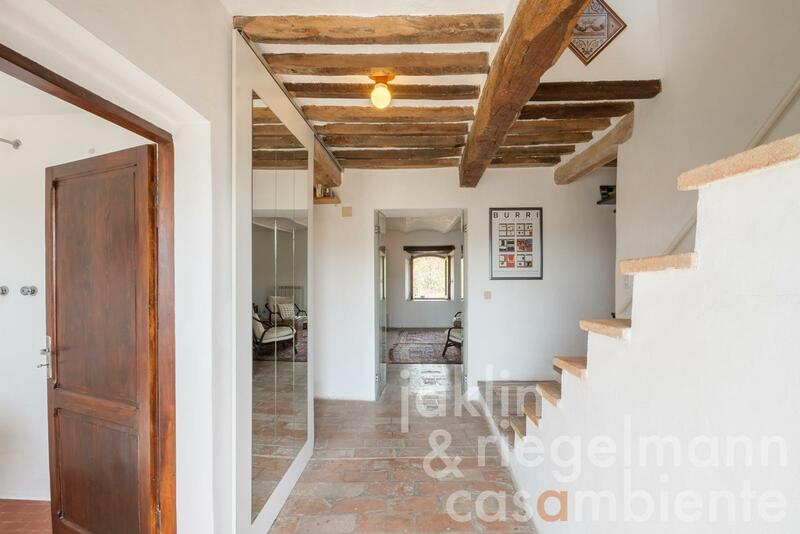 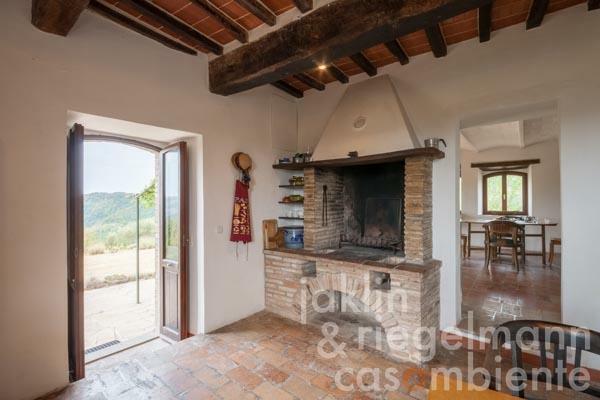 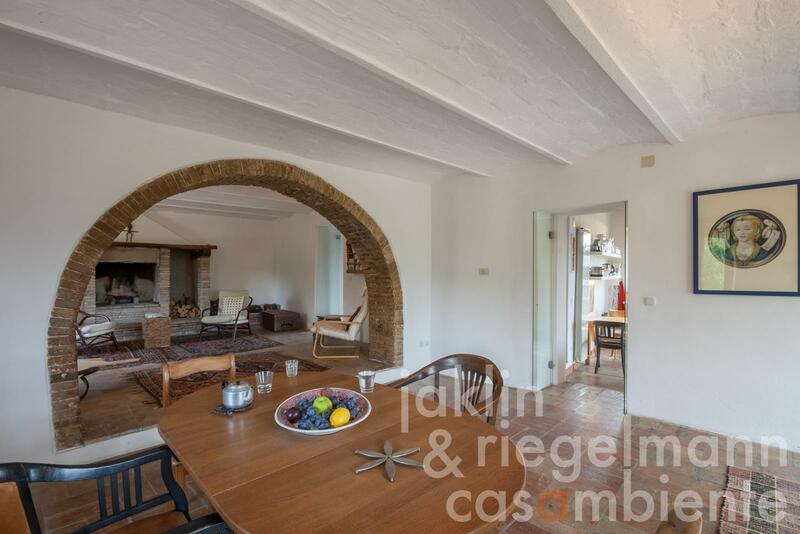 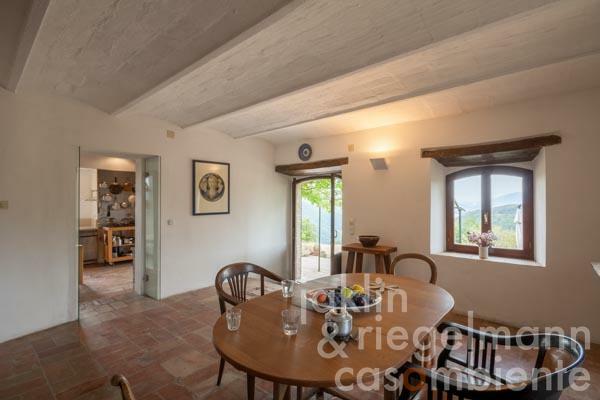 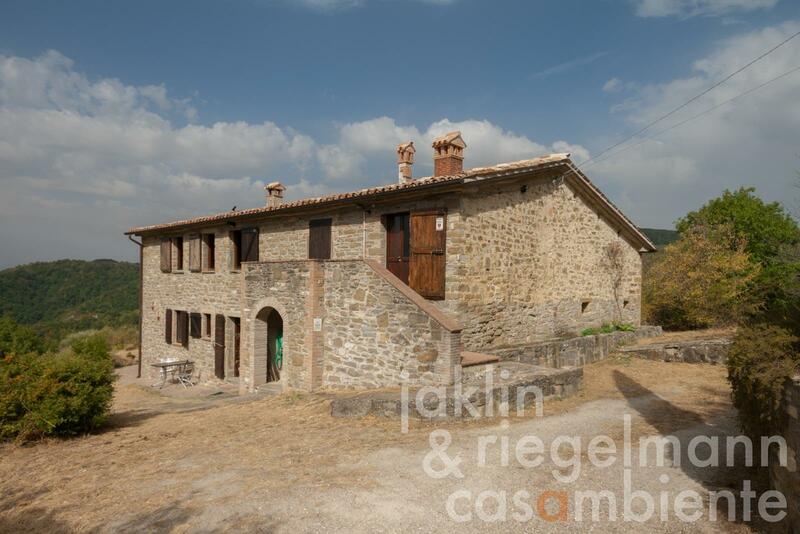 On the ground floor of the house there is an entrance hall with wardrobe, a cosy farmhouse kitchen with fireplace, a living room with fireplace, which is divided by a beautiful arch made of natural stone, as well as a bathroom. From the kitchen you have direct access to the pergola, where you can enjoy outdoor dining. A storeroom accessible from the outside is also part of this level. Upstairs there are 3 bedrooms and another bathroom. 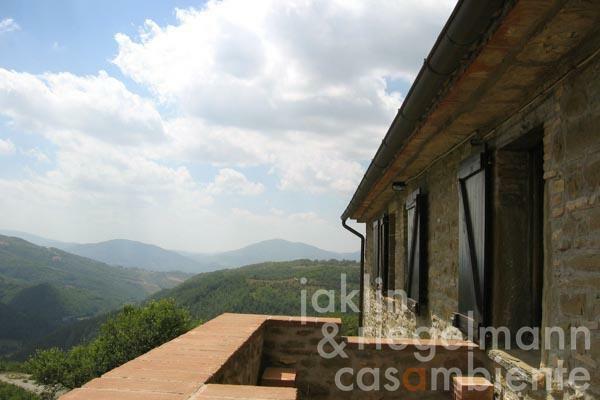 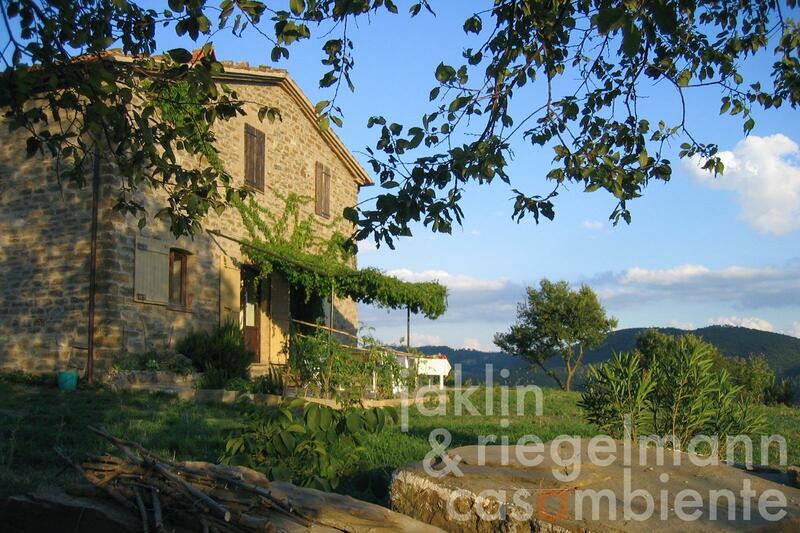 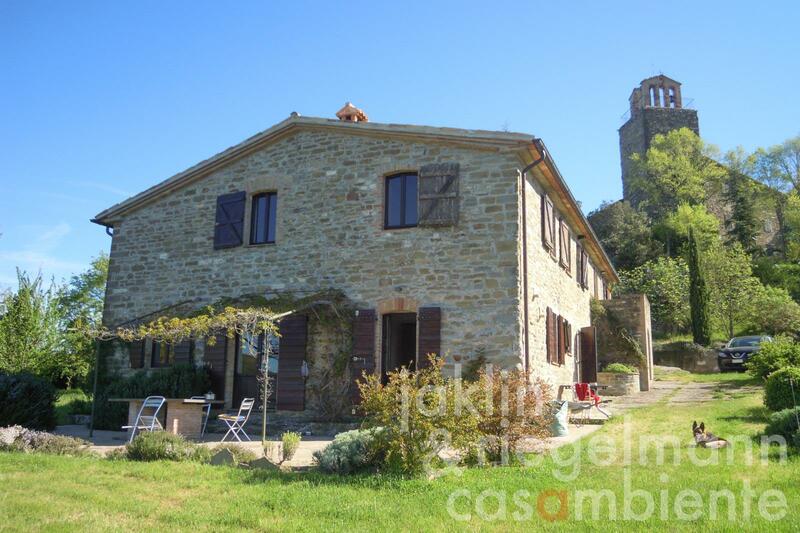 The nearest small village with bar and some shops is 2 km away, the closest bigger towns with all amenities are Umbertide in about 12 km and Gubbio in about 18 km distance. Perugia and Lake Trasimeno are 40-50 km away, Assisi and Cortona 50-55 km, the Adriatic coast 92 km and Florence 150 km, Rome 205 km. 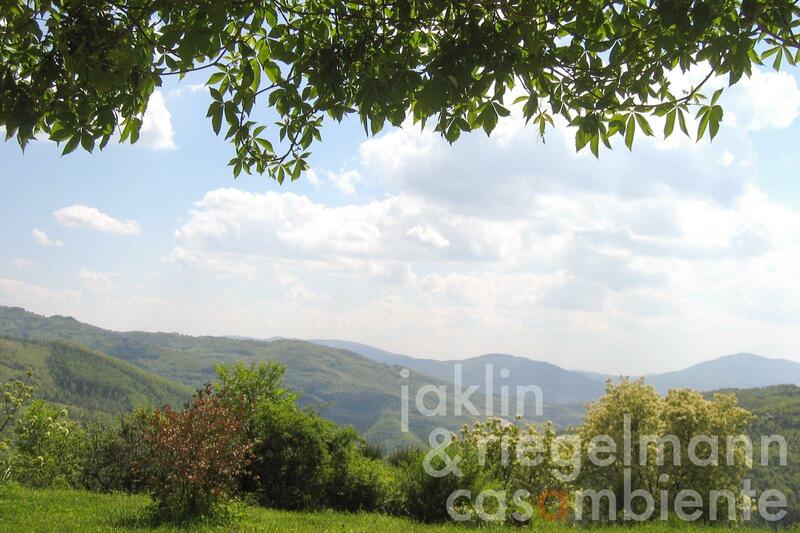 Distance to the airports: Perugia 37 km, Ancona 110 km, Florence 166 km, Rome 234 km. Electricity, mains water, central heating, fireplace, telephone, private parking, terrace, olive grove, garden.